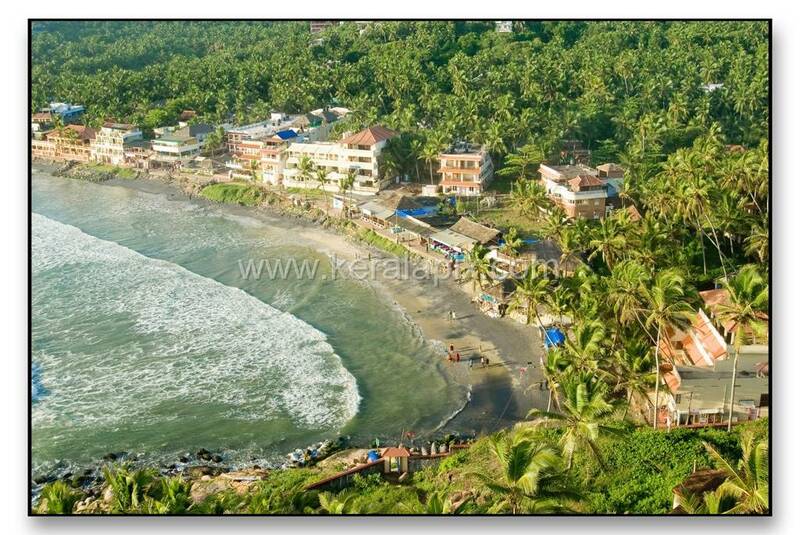 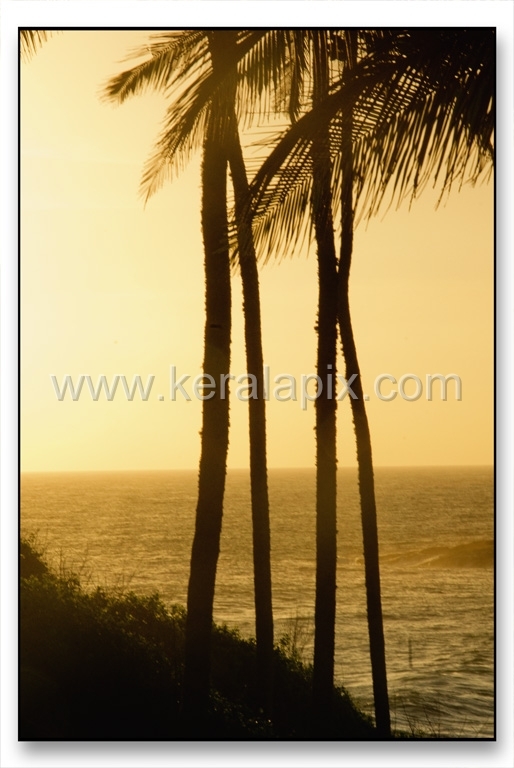 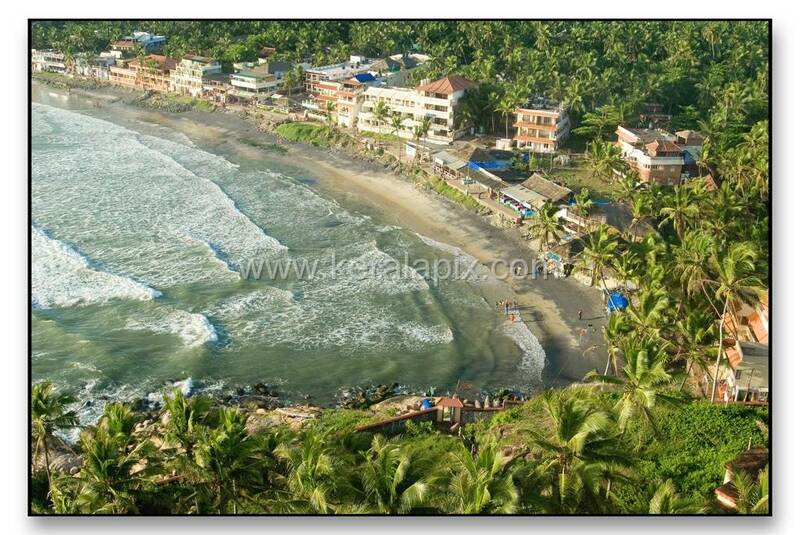 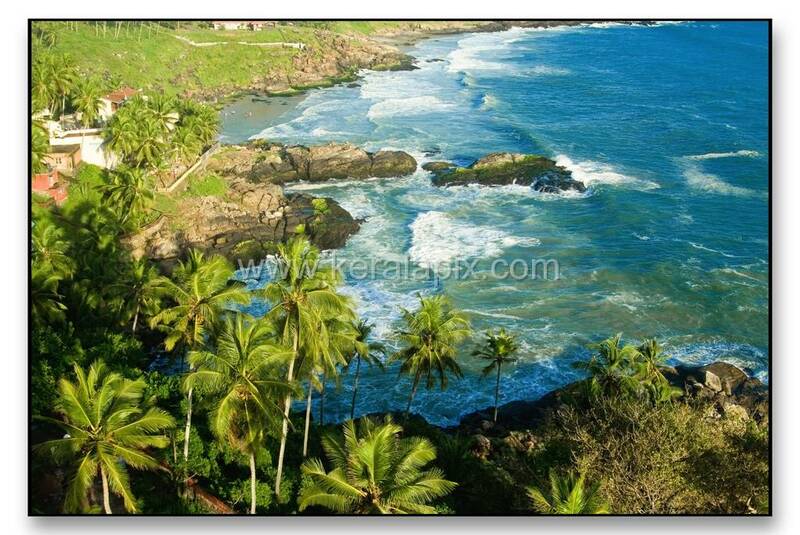 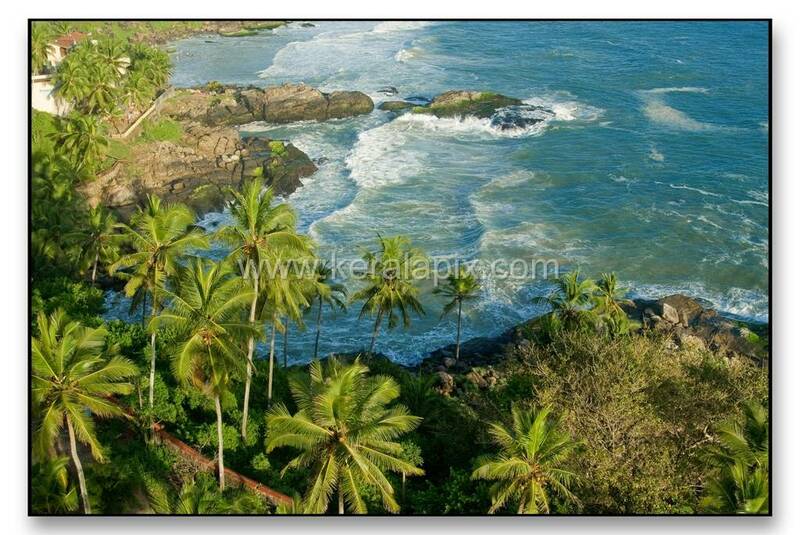 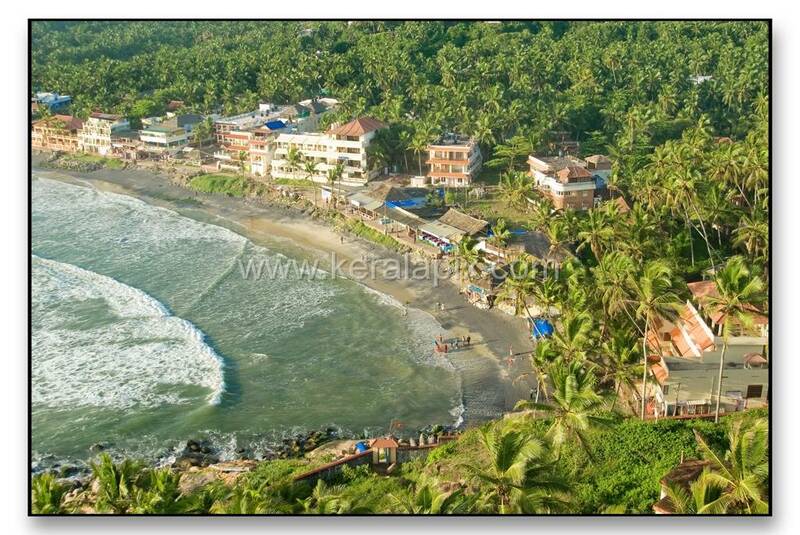 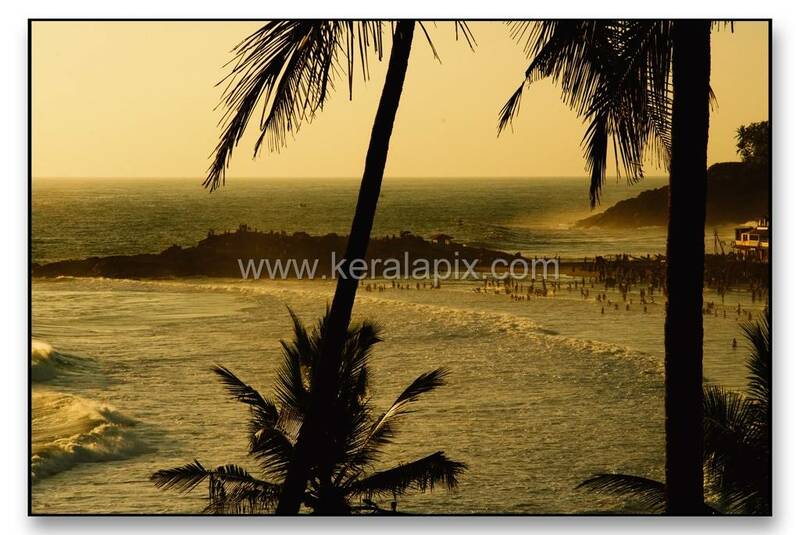 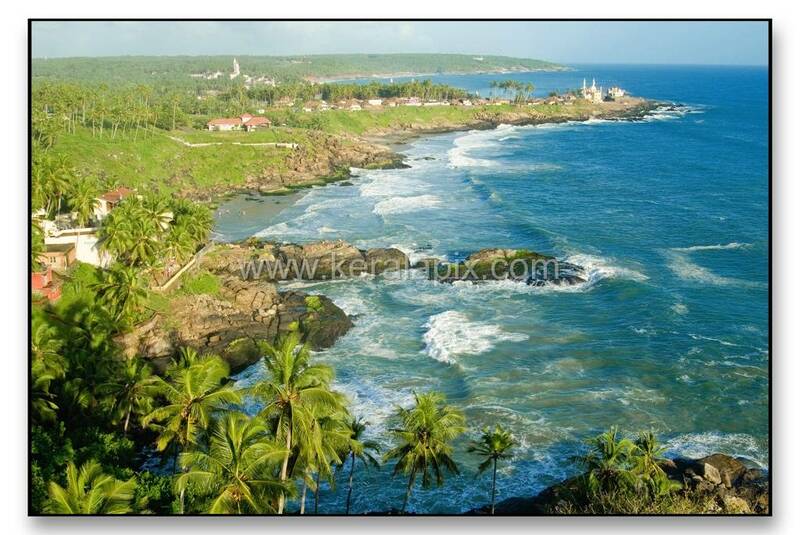 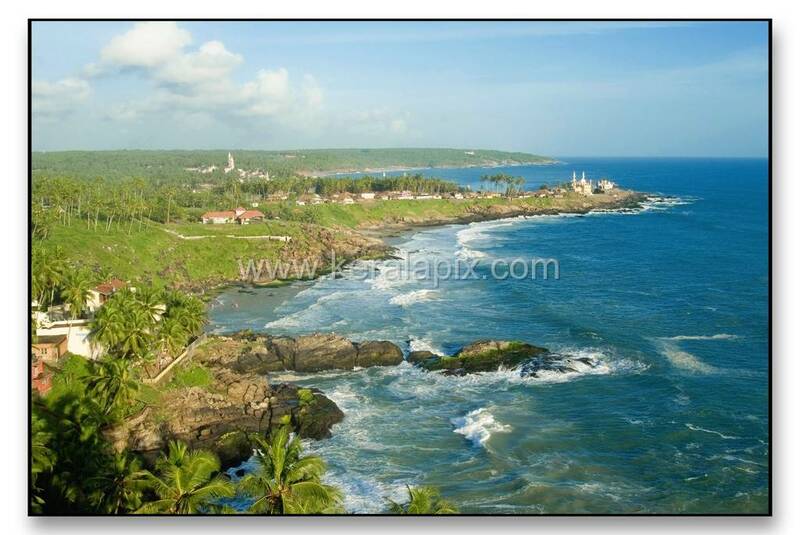 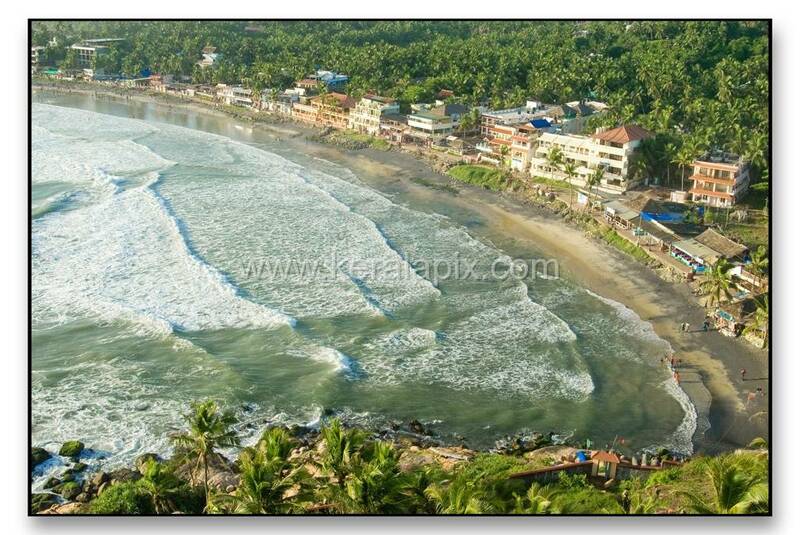 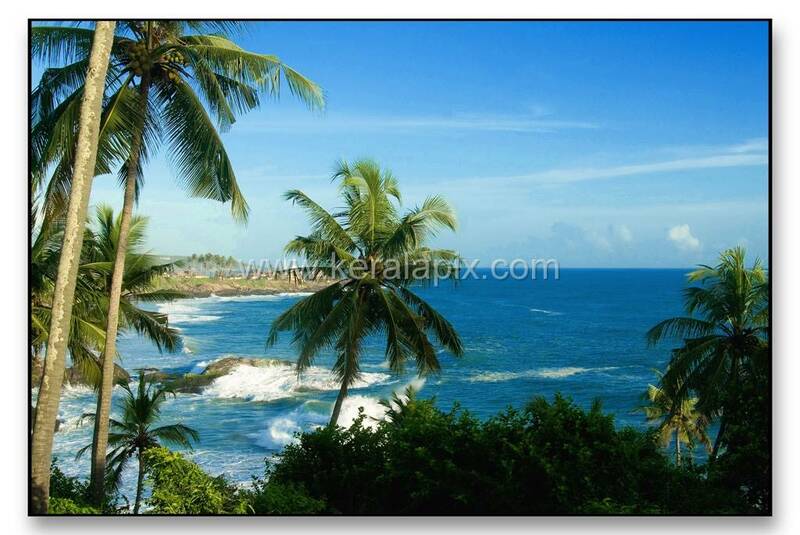 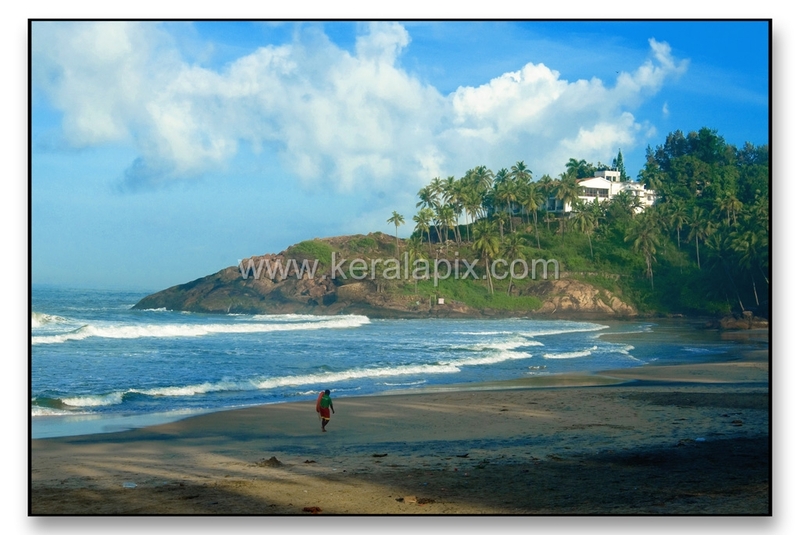 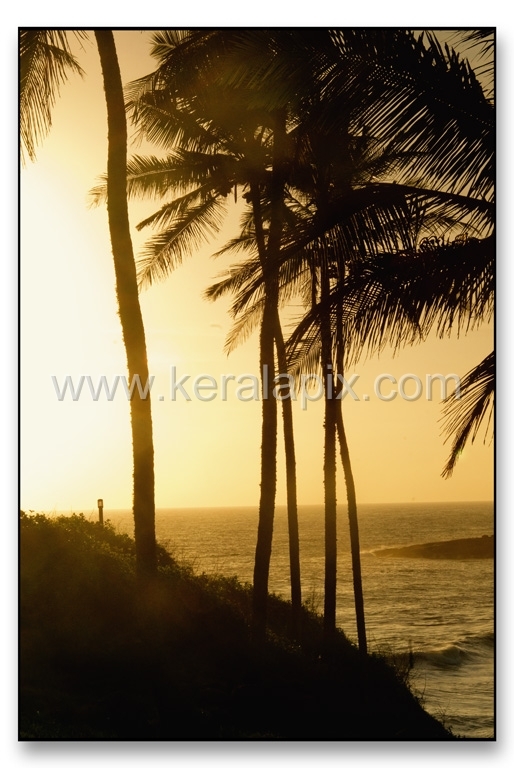 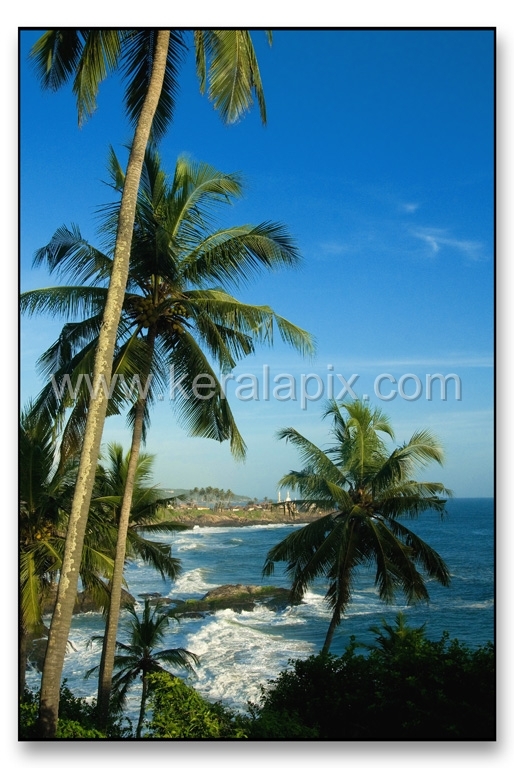 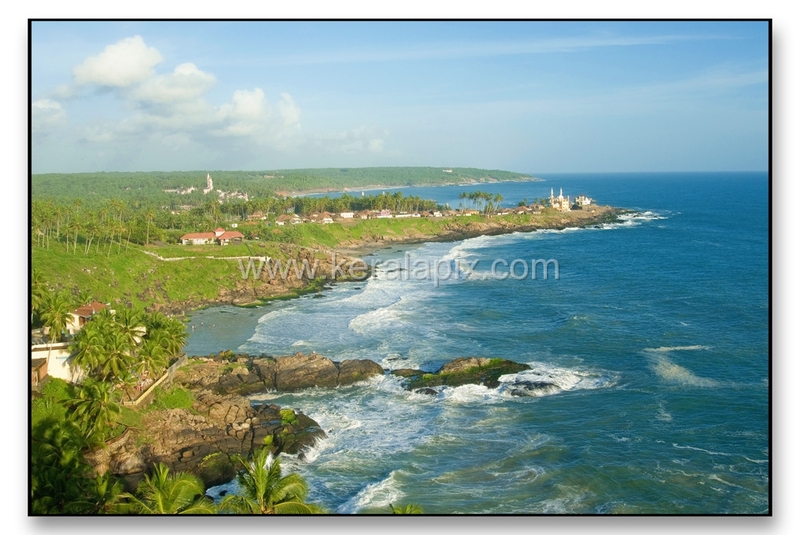 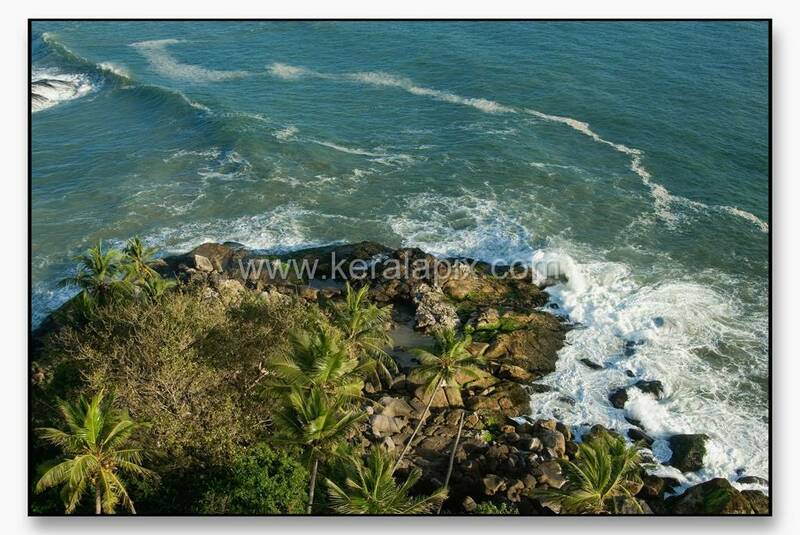 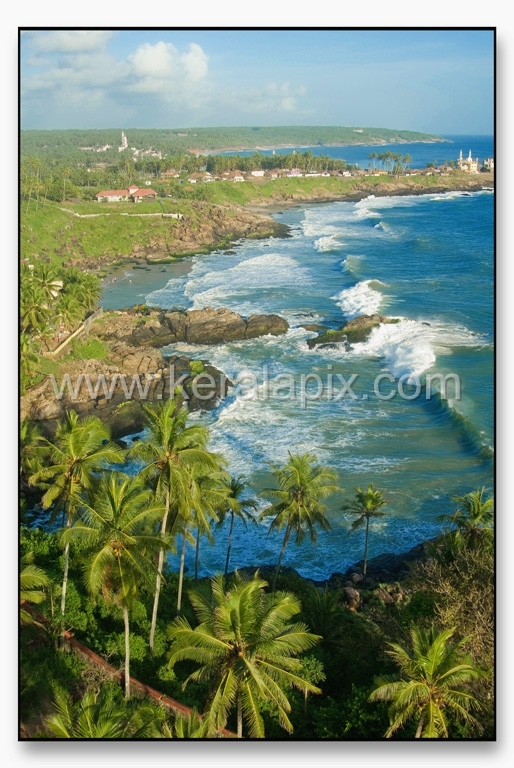 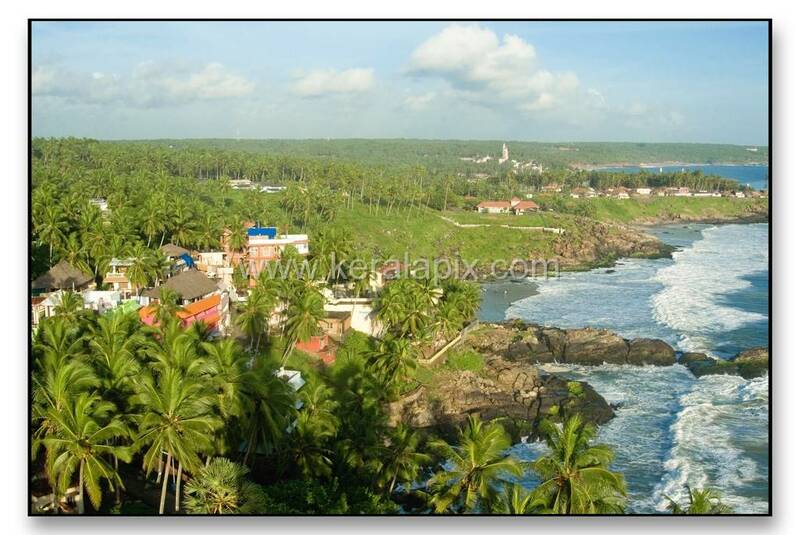 Areal views of the Kovalam coast reveals the verdant beauty of Kerala mainly because of the abundance of coconut trees in the region. 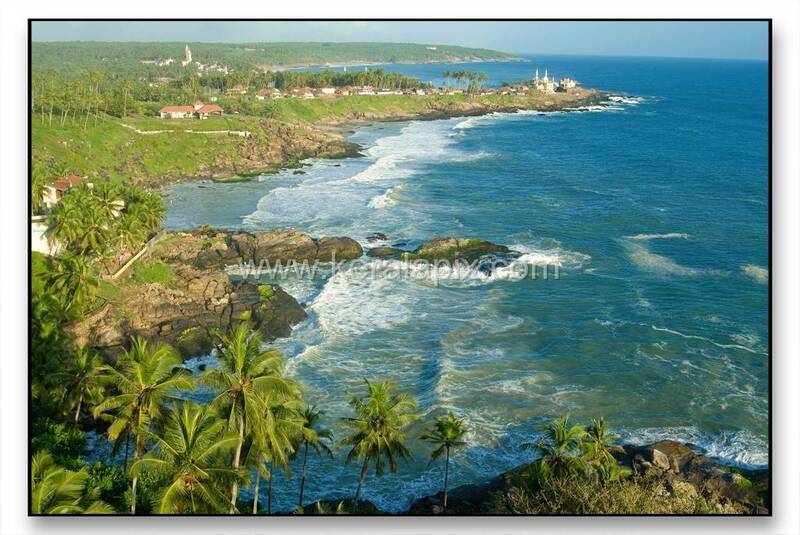 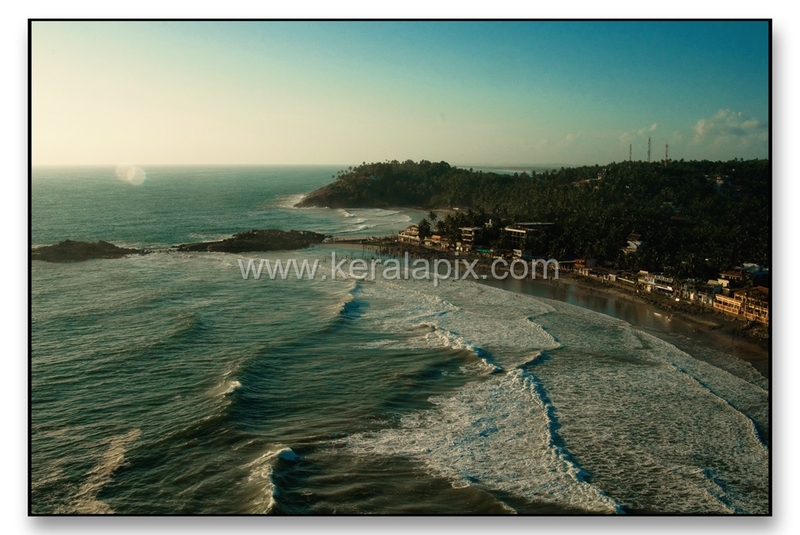 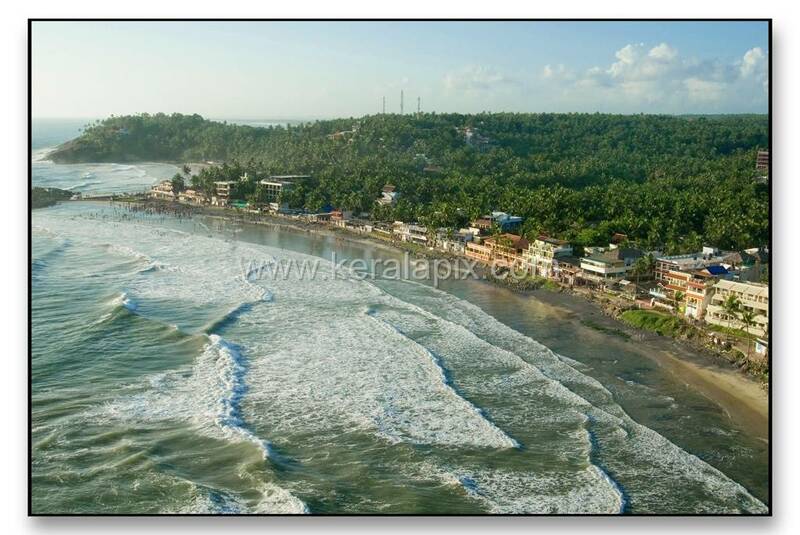 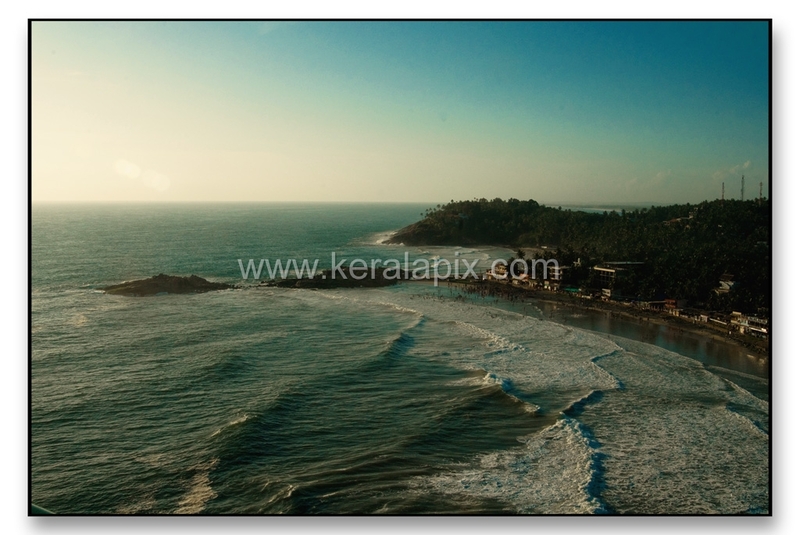 it' a stupendous sight from the air to see the deep blue colors of Arabian sea in contrast with the coconut coast of Kovalam that look like a green carpet covering the earth. 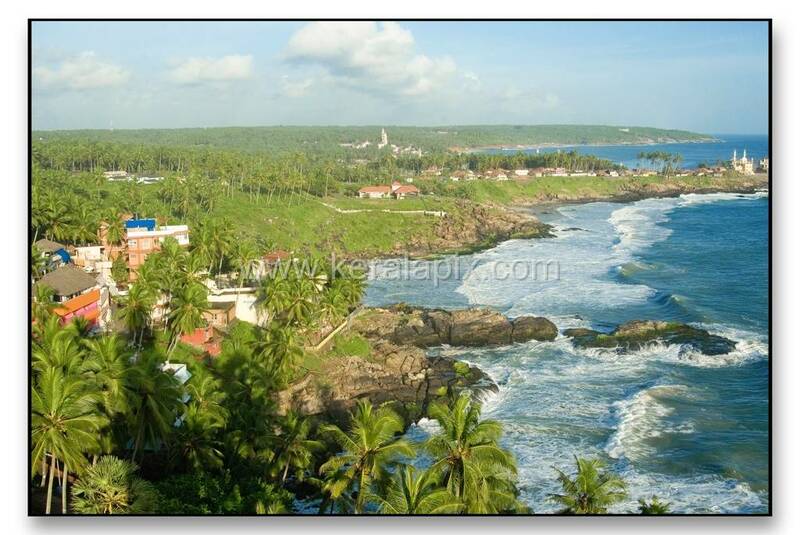 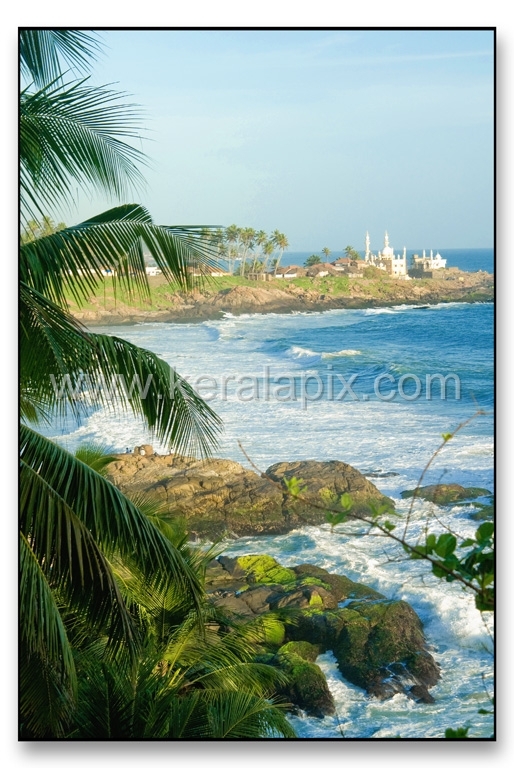 One can see the Vizhinjam Mosque at the tip of coastal line. 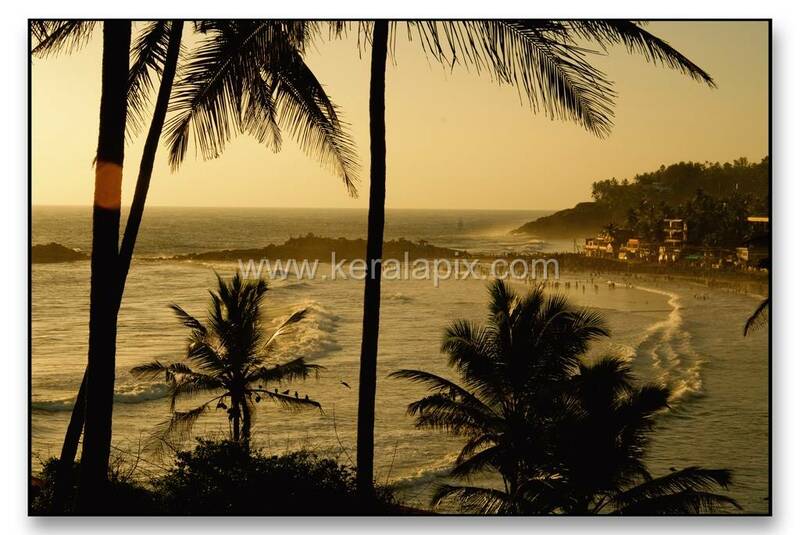 All the pictures above been taken between late evening and dusk.